As e-book prices rise, we are committed to keeping our books affordable. These books are high quality, high value, reading investments. Capital Media Enterprise, Inc. books are modern, educational, edifying, and wholesomely entertaining. Our books are professionally edited, professionally formatted, and approved by a battery of readers before publication. Author credentials? 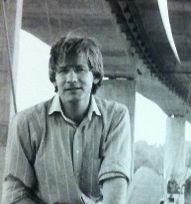 (people do ask),- Rawley studied political science in college, holds degrees in Philosophy, Communications, and Divinity, read British Literature in one of the early Rhodes summer studies programs at Oxford), traveled extensively in his twenties, worked for newspapers, radio and television stations, and reads when he is not writing. An excerpt from a story in Rapunzel In Control is currently featured in the international literary quarterly, Adelaide Magazine. - in which she explains how and why the major publishers sell increasingly distasteful and destructive books to children, teens and Young Adults. She calls for writers and publishers to reverse this trend and that is our mission. Here, by popular request, is a picture of Jody Rawley. and another is here at Adelaide Magazine. “Dartans” is, phonetically at least, Gaeilige (Irish) for “farm.” Two generations off the boat, in the Valerie Mayton home, it came to mean a family business. We spelled it the way we heard it, then made the internet search and discovered that it is likely we have a sniglet, a family neologism.